Smoothie making has been something that I have wanted to get into for a while now, especially after seeing the delicious looking combinations that people are making on instagram and youtube, plus its a great way of getting more fruit into your diet if you're one of those people on a mission to be healthy. There is surprisingly quite a range of options as far as smoothie makers go, all with varying prices, shapes and sizes. Reviews always have a huge amount of power when I am deciding whether or not to buy a product being, in my opinion, the most important thing to look at after price. 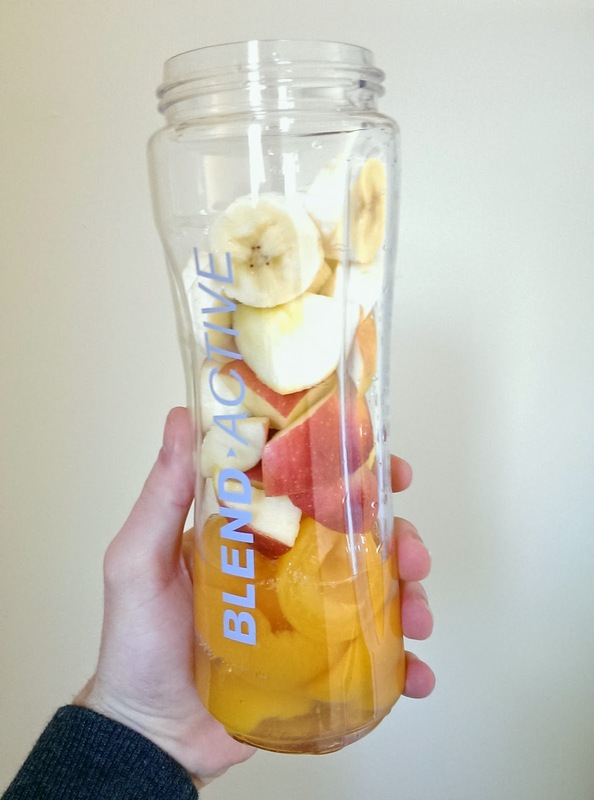 The product that was consistently getting almost 5 star reviews on every online shop was the 'Blend Active', which pretty much sold it to me, so I thought I would do a little review on my experiences with it in case you were considering jumping on the smoothie bandwagon! If you are going to be using a product multiple times a day, every day then you may want it to be pretty stylish as it is going to be sitting on the counter a lot. 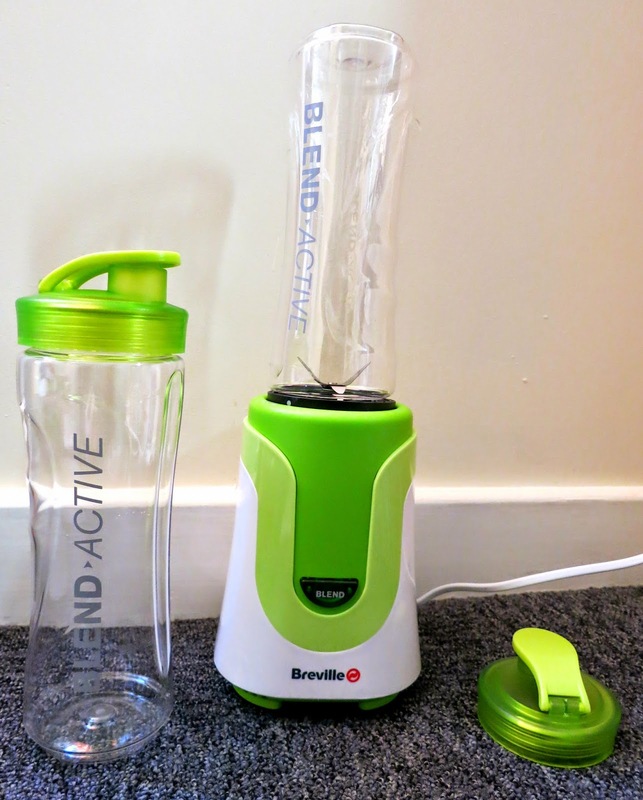 The Blend Active is not the prettiest blender out there in my opinion but I have definitely seen a lot worse as far as looks go, it feels really light and compact and I think it pulls off the healthy green colour quite well. It comes with two containers which makes it great for pre making smoothies for a busy day, or just to save you a little effort from washing up if you're lazy like me! It could not be easier to make a smoothie with this blender being so simple to assemble and disassemble, literally pop all of your healthy (or devilishly unhealthy) ingredients into the container, screw on the blender lid and insert it into the base. You do have to stand there and hold the blender button for blending to occur but it does blend down ingredients relatively quickly, normally less than 30 seconds, which is great for such a small blade! Effortlessly transform your blending container into a bottle by replacing the blender lid with the bottle lid (how did we not think of this years ago?!) and bam you have a delicious smoothie to enjoy, only the black blade part to wash up and literally no mess! I would also point out that it is really good for being able to prepare and measure out one, or possibly two, servings at a time which saves food waste. The only little niggle is that the bottle itself is a little tedious to clean if you have little bits stuck to the inside as the opening is too small to fit your hand inside (unless you have incredibly tiny hands) and also one of the bottle lids had a loose seal which was easily fixable. From my experiences with this blender so far, I was actually quite impressed by how well it actually blended down even the toughest ingredients like apple, frozen berries and ice. I wouldn't say that this blends down to a perfectly smooth texture but I like a smoothie to have a few bits in it, so I find that this blender gets your smoothie down to a perfect consistency after less than 30 seconds. 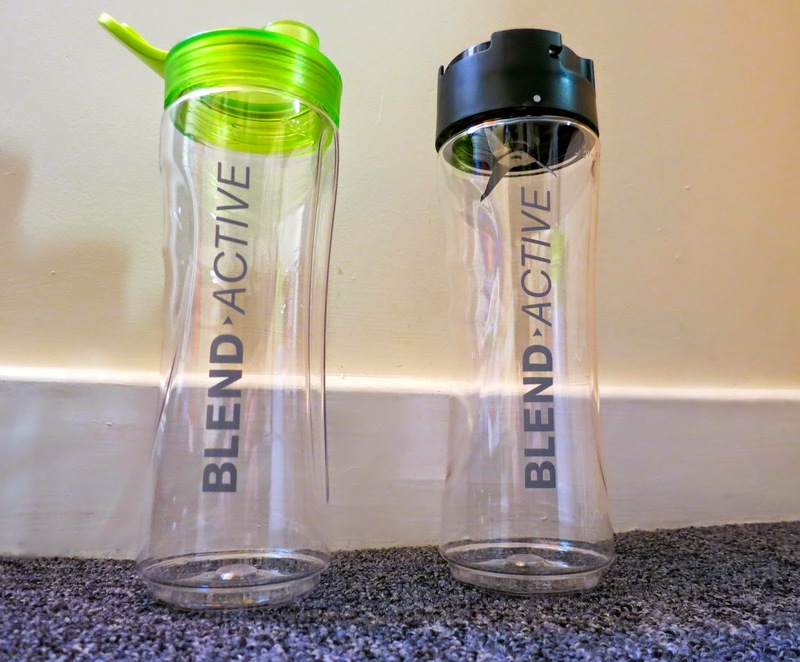 The Blend Active would be perfect to use for smoothie making as well as protein shakes and I have even successfully made chocolate milkshakes with it! I think value for money is the Blend Active's main selling point, considering it is 5 times less money than the NutriBullet and essentially does the exact same job. Obviously I can't judge the quality of the NutriBullet over the Blend Active since I have never used one but what I can say is that I can't fault the Blend Active for far exceeding my low, sceptical expectations of a blender that I managed to buy for £24 on Amazon, which is an amazing price considering that the product seems to be made for everyday use and I expect to get a long life out of it. 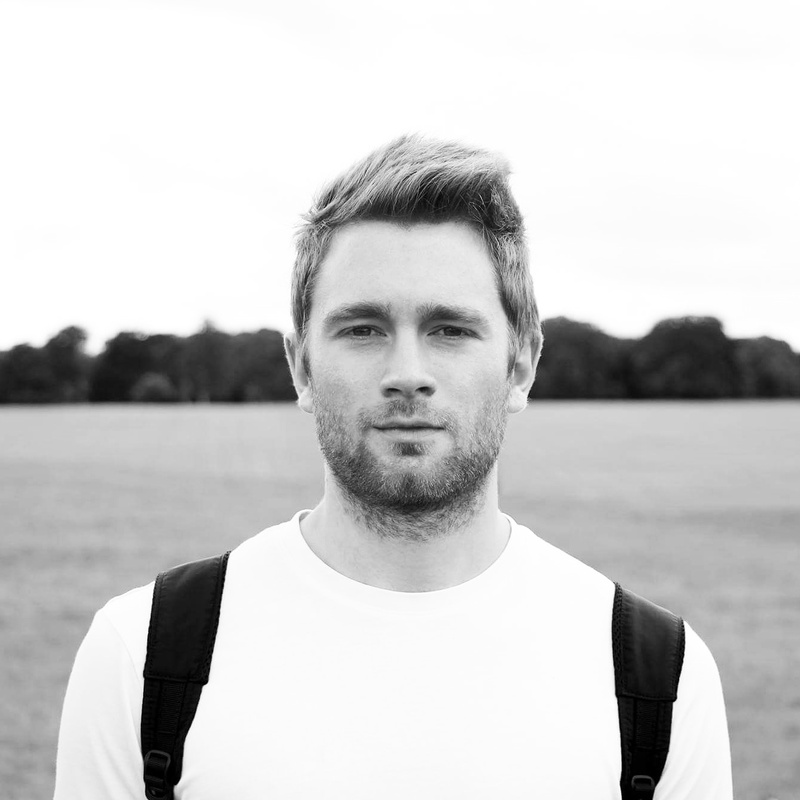 I would definitely recommend picking up a Blend Active and giving it a try for yourself if you are a first time smoothie maker and want to experiment with some different ways of eating healthily for a reasonable amount of money, I genuinely find that it really motivated me to eat a lot more fruit and experiment more with different foods by being able to easily blend them into a delicious smoothie. 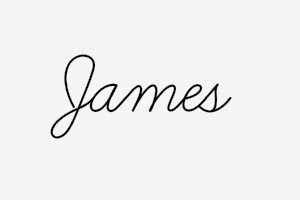 You should definitely expect a lot more smoothie recipe posts in the future and let me know if you have any recommendations of your favourite smoothies to try out! *disclaimer This product was brought with my own money, all views are my own and in no way influenced by the company mentioned. May have to jump on the bandwagon and purchase one of these. I'm useless at getting my five-a-day in at the moment. Would be a good brekkie alternative to take to work with me.